The Canadian Reformed Churches are a small confederation of just over forty churches. You may have not have heard of us, but we would like to introduce ourselves to you in the hope that you may come to know who we are and what we stand for. The basis for all our beliefs is the Bible, which is the inspired Word of God. We believe that God is the Creator of the world. He is a loving God who is sovereign over everything. We believe that because of our sins and rebellion against God, we live in a fallen world and deserve to be rejected by God. We believe that God did not turn his back on the world because of our sin, but instead he is working out a plan of salvation that will reconcile us to him. We believe that this salvation comes through faith in Jesus Christ alone. He took the penalty for our sins upon himself, and through his sacrifice on the cross endured the awful penalty for our sins. We believe that we are called to repent of our sins and turn to Jesus. He alone saves us and then calls us to a life of thankfulness to him. We believe Jesus' promise to send the Holy Spirit to all who believe. The Holy Spirit works faith and repentance in our hearts. We believe that God calls us to join a local, faithful church where believers can worship God together, and where they will be strengthened through the preaching of God's Word and the sacraments of baptism and Lord's Supper (or communion). 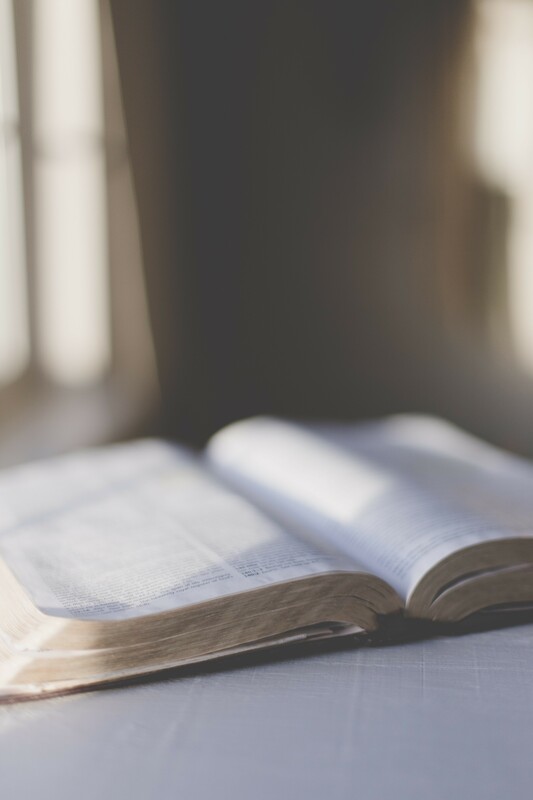 Sola Scriptura / By Scripture Alone - God's Word governs every aspect of our church. All our church's beliefs and teachings must come from the Bible as the inspired Word of God. The Bible contains God's revelation about himself and his plan of salvation through Jesus Christ. Sola Fide / By Faith Alone - Salvation is a gift from God that is received through faith. We cannot earn our own salvation and we must turn to Jesus Christ and put our faith in him. Sola Gratia / By Grace Alone - Our salvation was earned by Jesus Christ. We cannot merit any favour with God through our own works, it is given to us only because of God's grace and love. Solus Christus / Through Christ Alone - Jesus is the only mediator between God and man, and is the only way to salvation. Soli Deo Gloria / Glory to God Alone - We worship the triune God alone. No person or tradition can stand in the way of that, or take for themselves the glory that belongs to God. To Him be all the praise and glory! The doctrinal standards of our church are the Reformed confessions known as the Three Forms of Unity. These documents date back to the 16th century, and have been used by Reformed churches ever since. If you come from a Presbyterian background, they are similar to the Westminster Confessions. Our confessions do not add anything to the Word of God. We hold to these confessions only because they are faithful summaries of the core doctrines given to us in the Bible. They are useful to us as tools for teaching and summarizing the doctrines that are important to the Christian faith. The 3 documents in the Three Forms of Unity are the Belgic Confession, Heidelberg Catechism and the Canons of Dordt. Heidelberg-Catechism.com is a website with many resources that will help familiarize yourself with this confession. New City Catechism is a modern adaptation of the catechism that is great for teaching. Christian churches throughout the New Testament have expressed their unity together through creeds that summarize the Christian faith. These creeds are accepted only because they express Biblical truths. Our church stands in unity with believers throughout the New Testament by believing the doctrines found in the Apostle's Creed, Nicene Creed and the Athanasian Creed. Whoever desires to be saved must above all things hold to the catholic faith. Unless a man keeps it in its entirety inviolate, he will assuredly perish eternally. Now this is the catholic faith, that we worship one God in trinity and trinity in unity, without either confusing the persons, or dividing the substance. For the Father's person is one, the Son's another, the Holy Spirit's another; but the Godhead of the Father, the Son, and the Holy Spirit is one, their glory is equal, their majesty is co-eternal. Such as the Father is, such is the Son, such is also the Holy Spirit. The Father is uncreate, the Son uncreate, the Holy Spirit uncreate. The Father is infinite, the Son infinite, the Holy Spirit infinite. The Father is eternal, the Son eternal, the Holy Spirit eternal. Yet there are not three eternals, but one eternal; just as there are not three uncreates or three infinites, but one uncreate and one infinite. In the same way the Father is almighty, the Son almighty, the Holy Spirit almighty; yet there are not three almighties, but one almighty. Thus the Father is God, the Son God, the Holy Spirit God; and yet there are not three Gods, but there is one God. Thus the Father is Lord, the Son Lord, the Holy Spirit Lord; and yet there are not three Lords, but there is one Lord. Because just as we are compelled by Christian truth to acknowledge each person separately to be both God and Lord, so we are forbidden by the catholic religion to speak of three Gods or Lords. The Father is from none, not made nor created nor begotten. The Son is from the Father alone, not made nor created but begotten. The Holy Spirit is from the Father and the Son, not made nor created nor begotten but proceeding. So there is one Father, not three Fathers; one Son, not three Sons; one Holy Spirit, not three Holy Spirits. And in this trinity there is nothing before or after, nothing greater or less, but all three persons are co-eternal with each other and co-equal. Thus in all things, as has been stated above, both trinity and unity and unity in trinity must be worshipped. So he who desires to be saved should think thus of the Trinity. It is necessary, however, to eternal salvation that he should also believe in the incarnation of our Lord Jesus Christ. Now the right faith is that we should believe and confess that our Lord Jesus Christ, the Son of God, is equally both God and man. He is God from the Father's substance, begotten before time; and He is man from His mother's substance, born in time. Perfect God, perfect man composed of a human soul and human flesh, equal to the Father in respect of His divinity, less than the Father in respect of His humanity. Who, although He is God and man, is nevertheless not two, but one Christ. He is one, however, not by the transformation of His divinity into flesh, but by the taking up of His humanity into God; one certainly not by confusion of substance, but by oneness of person. For just as soul and flesh are one man, so God and man are one Christ. Who suffered for our salvation, descended to hell, rose from the dead, ascended to heaven, sat down at the Father's right hand, from where He will come to judge the living and the dead; at whose coming all men will rise again with their bodies, and will render an account of their deeds; and those who have done good will go to eternal life, those who have done evil to eternal fire. This is the catholic faith. Unless a man believes it faithfully and steadfastly, he cannot be saved. Amen. Redemption Christian church believes that all members, including infants, should be baptized as a sign of God's covenant promises. We believe this is taught by Scripture. In the Old Testament God made a covenant with Abraham that was sealed with circumcision. This was more than just an outward sign – it was only given to Abraham "as a seal of the righteousness that he had by faith". On account of his faith, the promise was given to him and his children – a promise that is repeated in the New Testament (Acts 2:39). We believe that in the New Testament, baptism is also given on account of faith to both the believer and their children. Their children are covenant children who are part of God's church. This is the model taught to us in Acts 16 where we read of two instances where a new believer's entire household was baptized. First Lydia came to faith "and after she was baptized, and her household as well…" (Acts 16:15), and later the Philippian jailer "was baptized at once, he and all his family" (Acts 16:33). Infant baptism has been practiced throughout the New Testament. Origin, one of the earliest Christian authors, wrote "The Church has received from the apostles the custom of administering baptism even to infants". While we love and respect our Baptist brethren, we believe the correct interpretation of God's Word is to continue giving the sign of baptism to our infant children. This does not mean covenant children are guaranteed salvation or that they are any better than others. It does mean, however, that God has laid claim to them and gives covenant parents a responsibility to teach their children the gospel message. As children grow up they must respond with faith and obedience to Jesus. God calls the children of believers to keep his covenant from generation to generation. The elements of the Lord's Supper are the bread and wine, which are shared by members of the congregation in memory of Jesus's sacrifice for our sins.